Unexpected guests are no problem when you have the Stamford Coffee Table by Moe's Home Collection on hand. 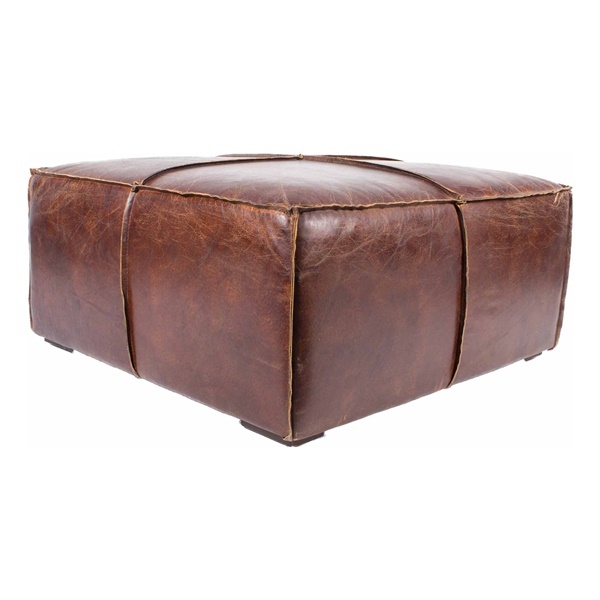 Supple leather upholstery works with a solid Oak frame to make this piece perfectly functional as a coffee table, ottoman or extra seating when you need it. This unit has distressed details, exposed seaming and stylized stiching for a rustic quality while generous padding creates the comfort. Right at home in your living room, den or loft space, the multifunctional Stamford Coffee Table by Moe's looks smart holding decorative pieces, trays or books.